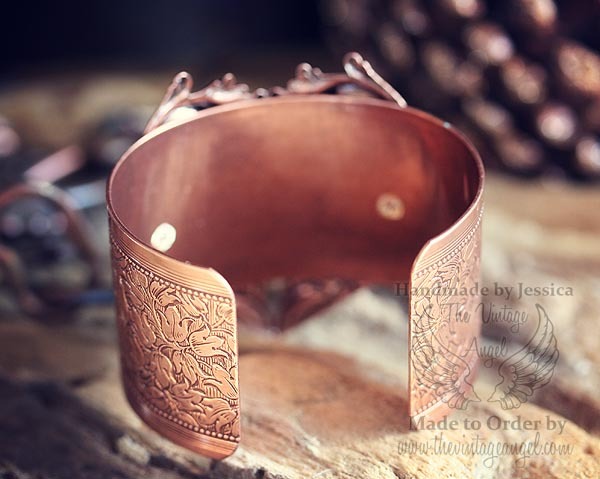 A bold and fantastic cuff with a rustic antique copper backdrop. 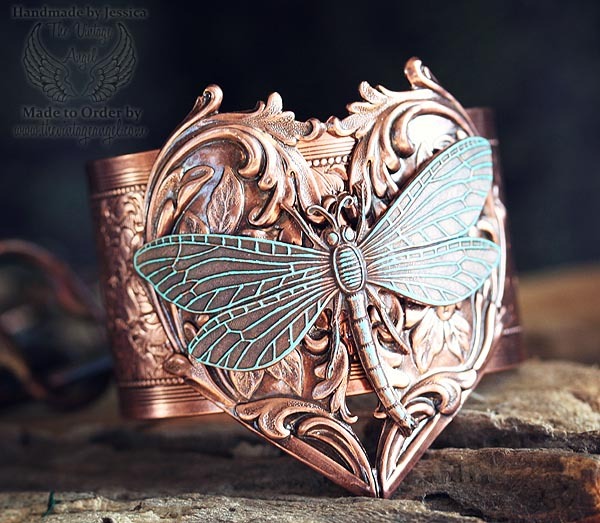 A large, 2" wide etched cuff is done up in antiqued copper (plated brass, American-made). 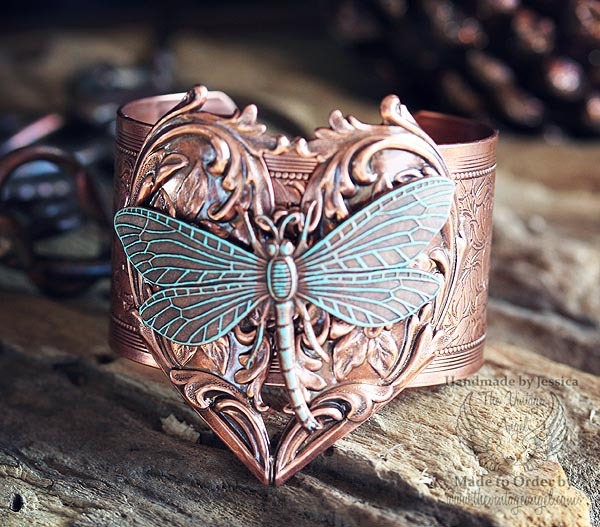 We've added an ornate Art Nouveau heart stamping on the cuff, riveting it for extra durability, then topping it with a graceful curved dragonfly that has been accented in a tiffany green patina.